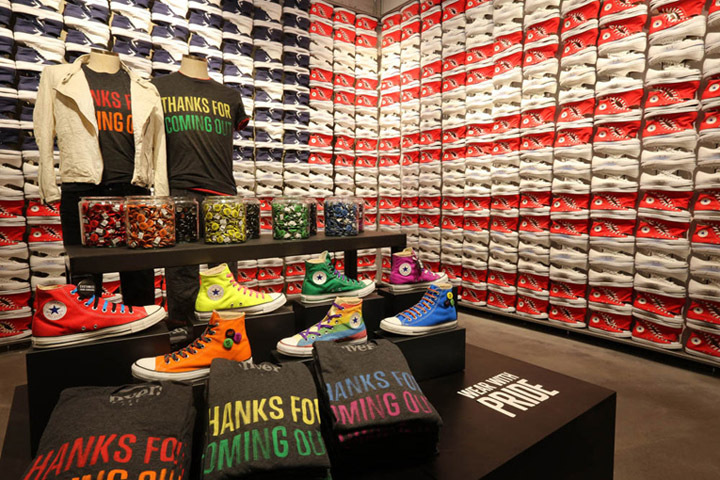 Converse has made a major retail statement on the U.S. west coast. 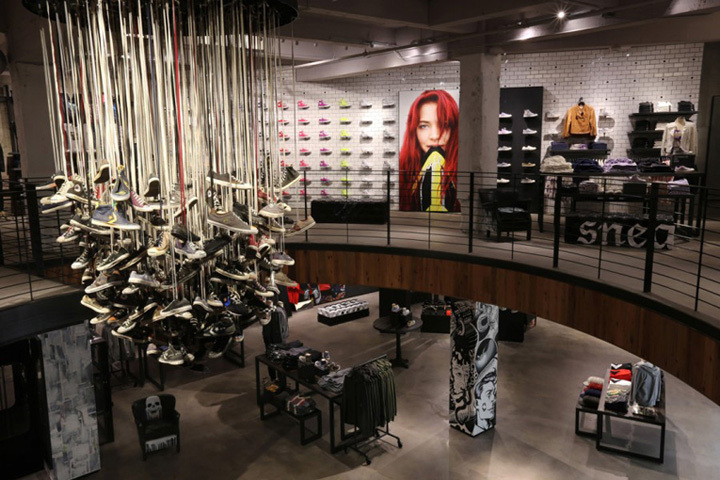 The sneaker brand opened its fifth and biggest flagship store in San Francisco, just a few blocks down from Union square. 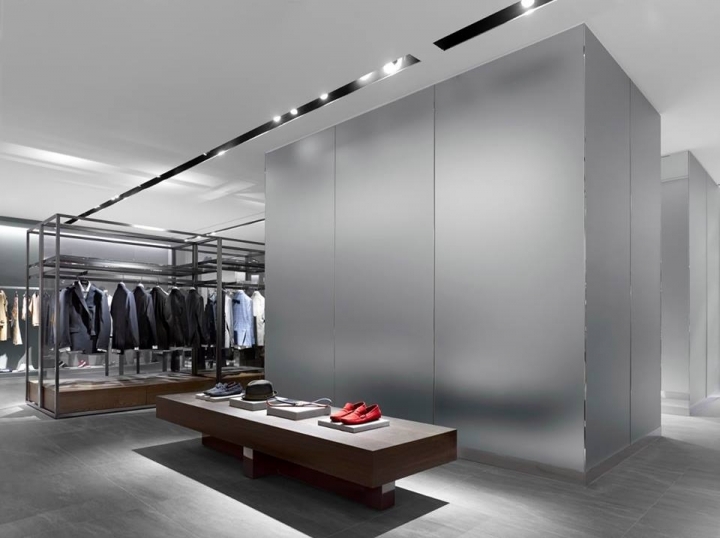 The store measures a whopping 8,200 sq.ft. [762 sqm.] 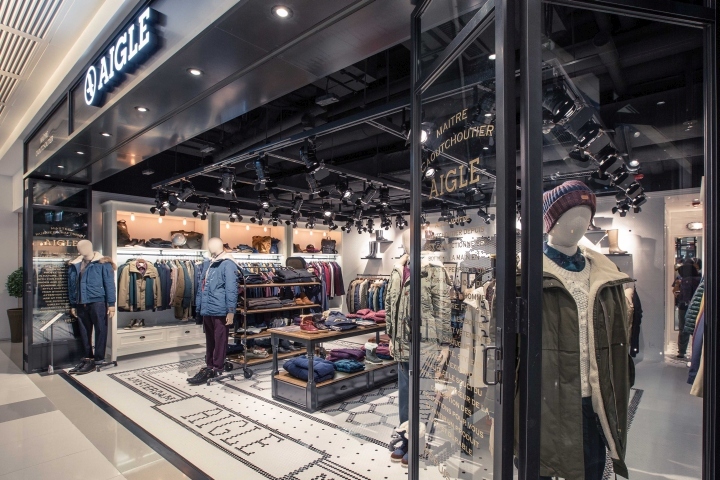 spread over two floors and features an interior that not only honours the building’s original structure with authentic and raw industrial elements, but also matches wonderfully well with the sporty merchandise on offer. 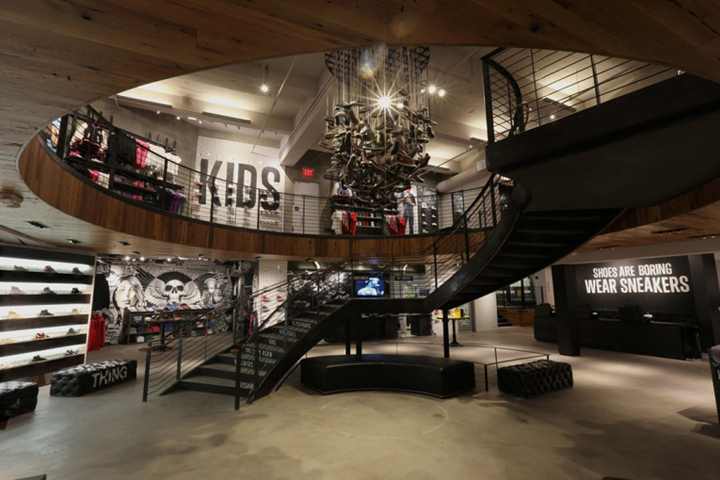 A black metal staircase is positioned in the middle of the store with an eye-catching ‘Sneaker Chandelier’ hovering over it. 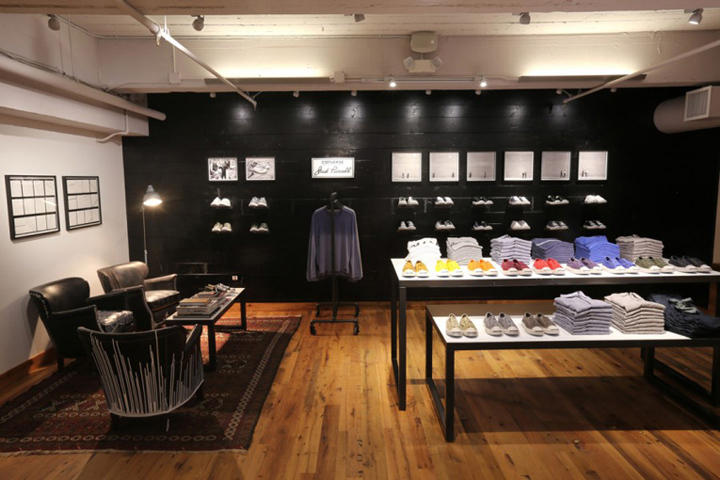 The new flagship offers the biggest selection of Converse shoes and apparel on the planet and features separate curated sections for its All Star, Cons and Jack Purcell collections. 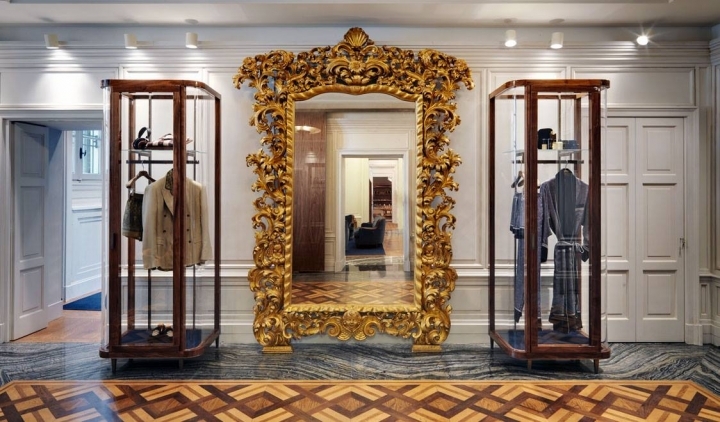 The second floor presents the women’s, kids and premium collections, the latter of which will be located in a gallery-like space called the Ellis Room alongside the work of local artists. This space will also host in-store music performances and events. But that’s not ll, folks. 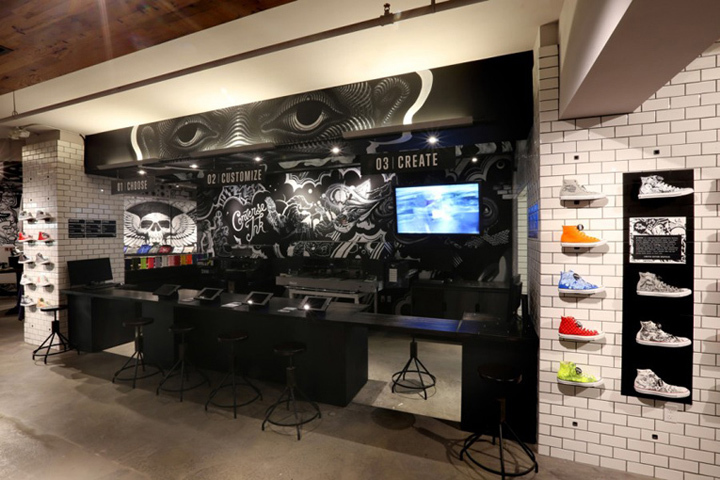 The so-called Converse customization interactive retail experience allows you to screen-print their own designs or graphics, selected from the Converse catalog on various styles of sneakers, apparel and accessories. Using Ipads, you can browse more than 150 Converse-curated graphics including designs that tie back to the San Francisco community. And to celebrate the opening, a limited-edition Chuck Taylor All Star San Francisco collection with graphics that feature well-known local landmarks is currently for sale at the store.